As the NFL’s only unbeaten team, the Los Angeles Rams understand each week is a litmus test. Teams are interested in testing them. Fans are interested in watching them. Cynics are interested in finding their flaws. 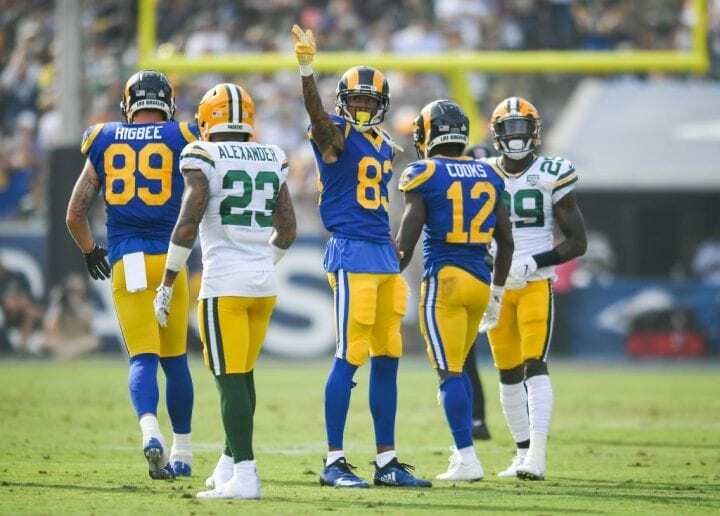 And things were not going to well for the Rams on Sunday against the Green Bay Packers, who entered as the largest underdog (8 ½) it had ever been in Aaron Rodgers’ career. The Packers played great. They were more competitive than any of the Rams first seven victims. The built a 10-point lead in the first half, fought off a 10-point deficit in the second. But this was healthy for the Rams, who have toyed with teams based on the strength of their offense. If they are to eventually play for the NFL championship, they are going to have to learn how fighting equates to winning. And that’s what they did. Despite being sacked five times, Jared Goff led the Rams back in the fourth quarter with Green Bay still clinging to a 27-26 lead. Here’s how it came down: Aaron Donald sacked Aaron Rodgers on a third-and-6 to force about with 5:30 to play. Just over three minutes later, Greg Zuerlein kicked a 34-yard-field goal for the 29-27 lead. Then the Rams caught a break, reminding us all how important luck sometimes is. Packers kick returner Ty Montgomery, the team’s starting halfback, was ticked off at the coaching staff for being removed from the game on the previous series. So when it came time for Montgomery to follow his orders to take a touchback on the kickoff, instead of running it out, the guy decided that didn’t fly with him. Montgomery headed upfield, was engaged by tackler Ramik Wilson and coughed up the ball on the Packers’ 21 with 1:56 to play. Needless to say, Rodgers was extremely ticked off. And then Todd Gurley sealed the win with an ultimate act of unselfishness. Without about 1 minute to play, instead of rushing unabated for a touchdown to seal the win after already gaining a first down, he purposely fell at the 4 just to make sure Rodgers didn’t have another chance to handle to ball. 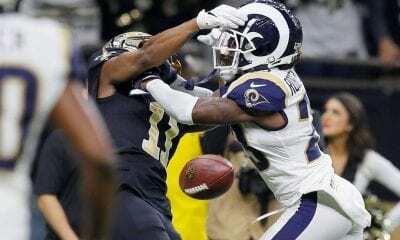 This was the best win of the season for the Rams – and just in time for next week’s tussle with the New Orleans Saints. We may wake up in three or four weeks and wonder why we were making such a fuss about Chiefs quarterback Pat Mahomes. You figure something is bound to happen, eventually. The kid simply can’t be this good. So before it’s too late, here is a reminder of what Mahomes has done, fully updated after their 30-24 win over the Denver Broncos on Sunday. Mahomes is the fourth QB in history with at least 25 passing TDs in the first games. The others were Peyton Manning (2013), Tom Brady (2007) and Peyton Manning (2004). All three won subsequently set single-season passing TD records and the MVP. Mahomes is on pace to throw for 5,051 yards and 52 TDs and has thrown for over 300 yards in seven straight, two short of Drew Brees’ record. 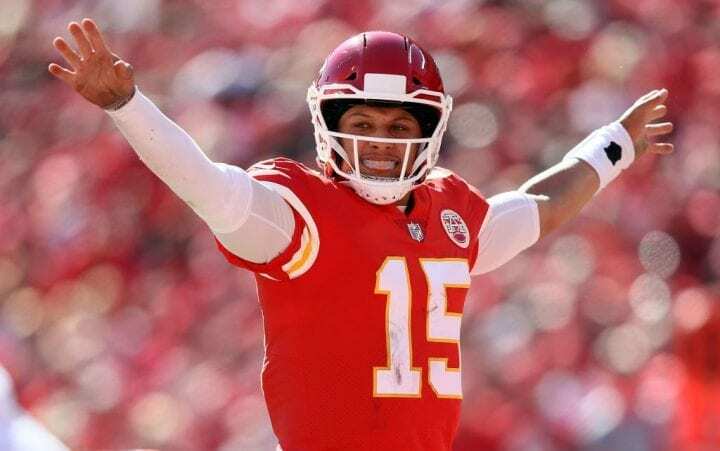 With 26 TD passes, Mahomes has already equaled Alex Smith’s production in 2017 and has helped the Chiefs to 290 points, their most through the first eight weeks in team history. No QB in the Super Bowl era had ever thrown more than 24 TD passes in his first nine career games. And since 1950, no QB has more completions (209), yards (2,810) and TDs (26) in the first nine games of his career. But we know what you are thinking: How can the Chiefs possibly win a Super Bowl with the league’s worst defense? Well, over the last three games, they have allowed 21.3 points per game, down from the 28.8 that came before. Is this really the way we want our citizens conducting themselves when on business trips in London? You likely heard that four Jacksonville players, Barry Church, Ronnie Harrison, D.J. Harrison and Jarrod Wilson, got themselves into a scrum at a London nightclub well after midnight on the night before the game. Allegedly, the quartet was acting like big shots, ordering high-end champagne and other adult beverages thinking the club had comped them. Turns out they players were badly mistaken and when the bill arrived they refused to pay. No surprise what happened next. The players caused a fuss, the police were summoned and several arrests were made. It all ended peaceably enough. No charges were filed and the players were released. But the optics for a struggling team were bad, but not as bad as the way they looked Sunday against the Philadelphia Eagles. The Jags lost 24-18, their fourth straight defeat. They are now 3-5 and far from the team that was one fourth-quarter meltdown from playing in the Super Bowl last season. Do not blame the much-maligned Blake Bortles for this one. He threw for 286 yards and a TD. The Jags have no running attack, and an injured, struggling offensive line, and had no choice but to leave it on the side of the road. Their running backs had only seven carries for 20 yards. You are a New York sports fan. The Mets stink. The Red Sox won the World Series. The Rangers stink. The Knicks stink. The Nets stink. And no one really cares as much about the Islanders and Devils, who don’t stink. Did we mention the Jets and Giants? They are done, too. Again. And it’s not even Halloween. The Giants are 1-7, a nice rebound from 3-13 in 2017. They lost at home to the Redskins on Sunday. The Jets are 3-5, slightly better than 5-11 in 2017. They lost on the road against the Bears on Sunday. The Giants are 34-55 since 2013 and have thrown their money wildly around since to try and fix the problem. The last mistake was on offensive tackle Nate Solder before the 2018 season. The line may be worse than it was last season. Eli Manning threw for 346 yards in the 20-13 loss, but was sacked seven times. His only TD pass came with 17 seconds to play. Manning has been sacked 62 times this season. Do the math: That’s a 62-sack pace. The only positive thing is, the Giants need a QB and are in line for the No. 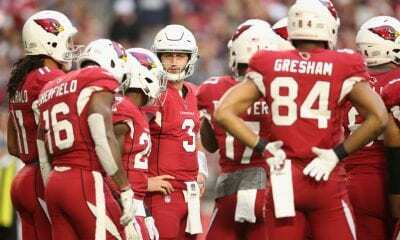 1 pick in 2019, simply because all of those in contention – the 49ers, Cardinals and Bills – drafted new QBs last spring. Meanwhile, the Jets seemed to be heading in the right direction after drafting QB Sam Darnold with the third pick. And they hadn’t looked that bad until the Bears limited them to 207 yards in offense after realizing Darnold had neither of his top receivers, Robby Anderson and Quincy Enunwa. With only 153 passing yards, they could not compensate with rush. Their top back, Bilal Powell, is out for the season with a neck injury. Isaiah Crowell had 25 yards on 13 carries. Trenton Cannon added 10 yards on six carries. Darnold’s seven-yard scramble was their longest gain. The season is over for both. Pitchers and catchers in February. Hue Jackson survived 1-15 and 0-16 as coach of the Cleveland Browns and most thought that was utterly remarkable. But he did not make it to Tuesday this week. Jackson and offensive coordinator Todd Haley were told to go in jump in a lake (Erie) following the Browns 33-18 loss on Sunday to the Pittsburgh Steelers. Offered battlefield promotions were defensive coordinator Gregg Williams (head coach) and running back/associate head coach Freddie Kitchens (offensive coordinator). Jackson’s run as coach ends with a 3-36-1 record, the worst in history for a coach with one team and a minimum of 40 games. He came to Cleveland with one previous season as a head coach. He was 8-8 with 2011 Raiders. His overall career winning percentage (.205) is the second worst in history among coaches with at least 40 games. Not the stuff of Paul Brown, for sure. But Jackson’s time was short with new general manager John Dorsey eager to affix his own stamp. 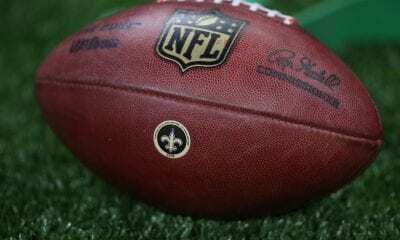 Ironically, the Browns, 2-5-1, also fired their last five coaches – Romeo Crennel, Eric Mangini, Pat Schumur, Rob Chudzinski and Mike Pettine – after the second game of the season against the Steelers.